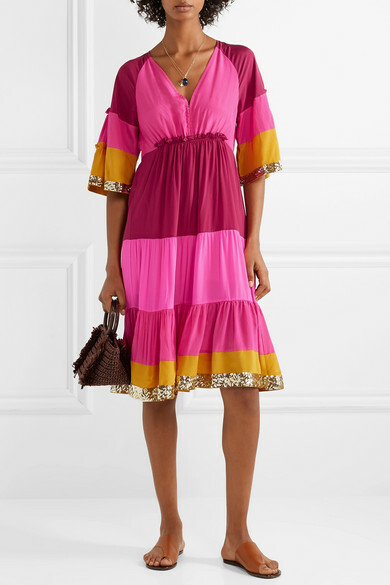 The vivid color palette of Figue's 'Fiona' dress is inspired by the equally vibrant and energetic spirit of Ibiza. 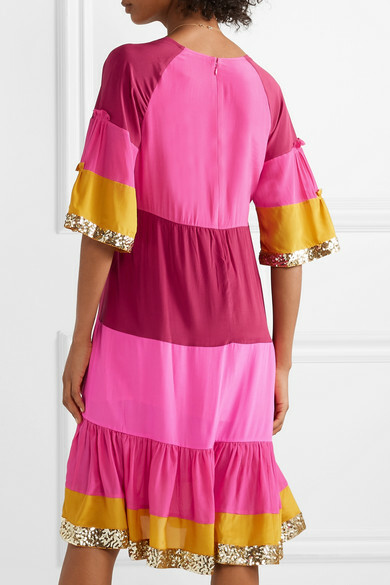 Made from silk-satin, this striped style has a partially elasticated waist to define the breezy silhouette and is trimmed with shimmering gold sequins along the fluted cuffs and hem. 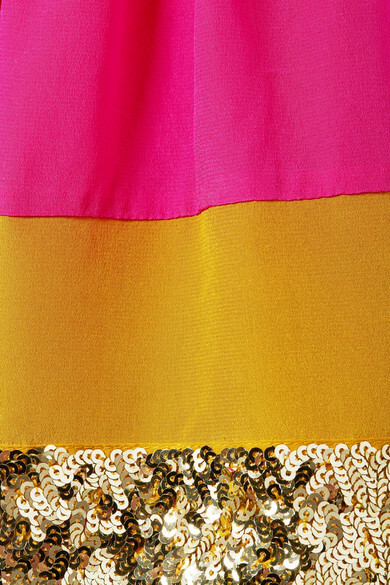 Undo a few of the hooks at the front to adjust the neckline. Shown here with: Carolina Santo Domingo Tote, ATP Atelier Sandals, Aurélie Bidermann Necklace, Alighieri Necklace.